See what can be achieved in an 8 hour shift using the power of Fujifilm inkjet technologies. 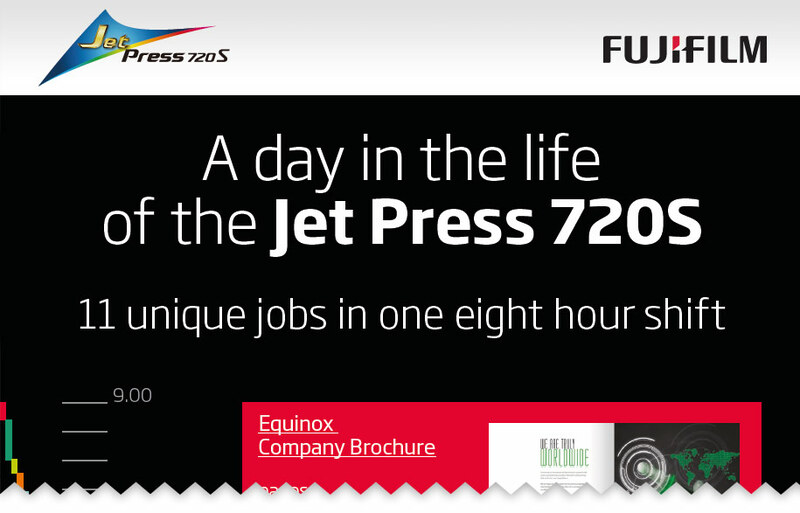 In an 8 hour shift the Jet Press 720S printed 11 jobs involving 9,567 B2 sheets and 18,117 printed sides. To print the same jobs offset would have required 488 plates, 122 make readies and wasted 12,200 sheets.